These yarn wrapped hearts had the kids really thinking! Take the cookie cutter and trace a heart on the clean milk bottle with a dry erase marker. 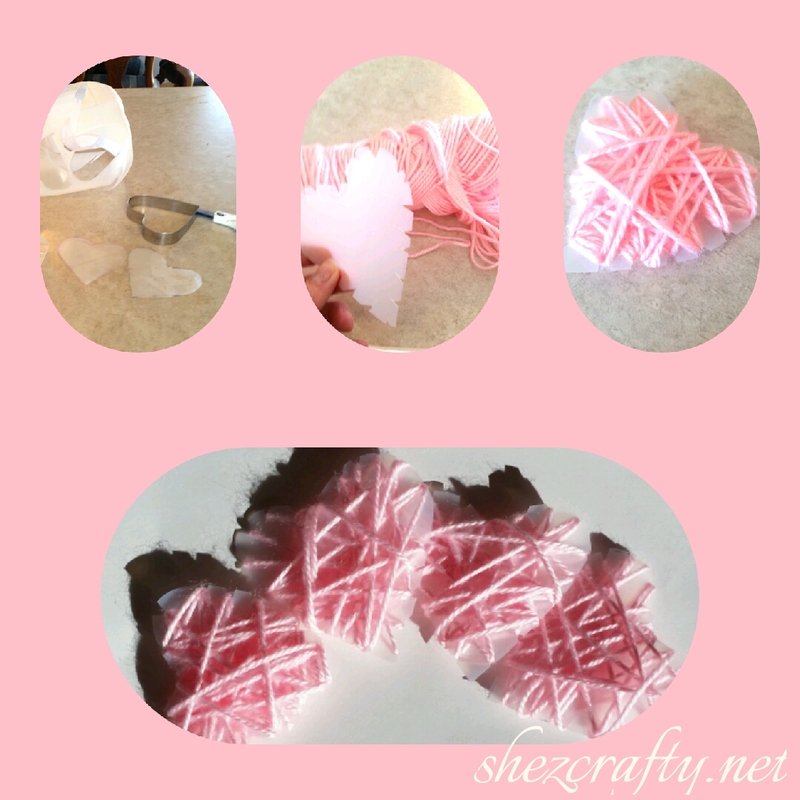 Use the scissor to cut out hearts, and then cut little v shaped sits all along the heart edge. I cut a long piece of yarn for each heart and taped it to the middle on the back. Then let the kids try to figure out how to wrap all the yarn around their heart.